Built in 1898 and listed on the National Register, the Lee building featured a load-bearing masonry exterior with a wood-framed interior. It was demolished instead of being reused for a different purpose. So much of our work as preservation advocates places us in the role of influencing decisions but not necessarily having the power to make crucial decisions ourselves. This is particularly difficult when you are trying to save a threatened place that is not under your ownership or management. Succeeding under these circumstances is immensely satisfying, but losing is tremendously frustrating. Just because you want something to happen and you put as much energy and resource into it as possible doesn’t mean it will. Ultimately, your priority may never become a priority for the people you try to persuade. That is how I felt after recently losing nine of 11 historic buildings to the wrecking ball at the Human Services Center (HSC) in Yankton, S.D., after spending five years advocating alongside partners for their preservation and adaptive reuse. 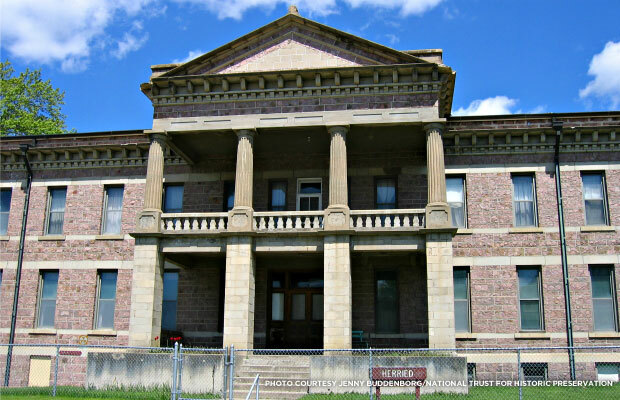 Established as the Dakota Hospital for the Insane in 1878, the National Register-listed site is the oldest public institution in the state, dating back to territorial days, and was arguably the most impressive collection of high-style architecture found anywhere in South Dakota. Sadly, the state had abandoned these historic buildings some decades ago, deferring maintenance and ultimately approving $2 million in appropriations for their demolition. The Harreid building was built in 1906 and was also listed on the National Register. It, along with eight other buildings, was demolished. The building was constructed with concrete and steel, and had a 30,000-square-foot interior. Because of the significance of the site and the dire threat it faced, the National Trust named the HSC to the 2009 list of America’s 11 Most Endangered Historic Places. 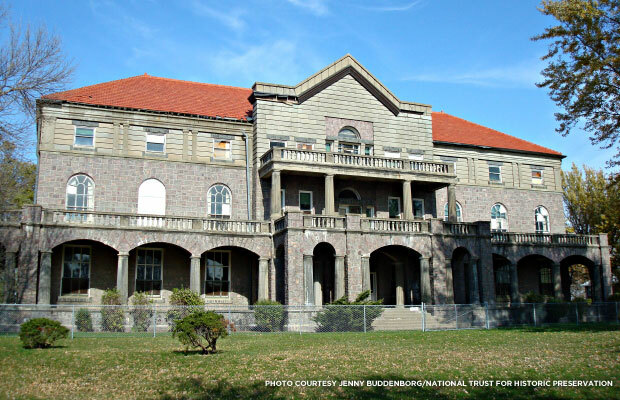 A coalition of local and state partners led by the National Trust came together to provide influence, knowledge, and resources to convince the state government that the better option would be to use those demolition dollars for rehabilitating and identifying new uses for the stately historic buildings that would contribute to the Yankton economy. In the end, we even had a respected Kansas City-based development firm submit a proposal for the adaptive use of three buildings as mixed residential and commercial use. Despite these factors and all the work to promote local grassroots support -- including open house events at the HSC that drew hundreds of people -- we struggled to secure support from local decision-makers who could have made a substantial difference with the viewpoint of the state administration. But even if we had won its support, it is unclear how much of a difference it would have made. We worked with two state administrations that equated good stewardship of the buildings with demolition. There were moments of optimism, such as the development proposal, but in the end, there wasn’t the will of the ultimate decision-maker to make such a project succeed. The Mead building is one of two buildings that were not demolished. The other building that survived is the Calf Barn. I am sure we could have done things differently with our advocacy, but darned if we didn’t try our hardest. In many ways this post is serving as a farewell to the beautiful HSC buildings that have been erased from South Dakota’s history. 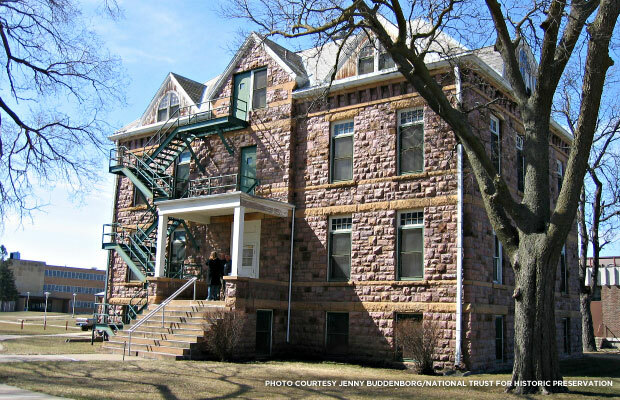 And even though we didn’t win this fight, I trust that our persistence and dedication to protecting the history of South Dakota through historic preservation has helped set a precedent for improved stewardship that does not consider demolition an option. The two buildings that were saved -- the Mead Building and Calf Barn -- can help provide a visual for how historic buildings can continue to serve a meaningful and contributing purpose. View our 2014 list of America's 11 Most Endangered Historic Places, and help protect other threatened places.